" Matthew Curry & The Fury enjoy performing Matthew's original songs but also covering classic blues tunes in Matthew's unique style: hot guitar, great grooves, and backed by a pro band. " MCTF’s second CD, “Electric Religion” features all original songs co-composed by Matthew and The Fury. Already a veteran performer, Matthew has played with the greats since the start – jamming regularly with Tommy Castro, Bernard Allison, Bryan Lee, and Ronnie Baker Brooks. Matthew Curry’s first CD, “If I Don’t Got You” received high marks in the IBC, and the International Songwriting Completion. 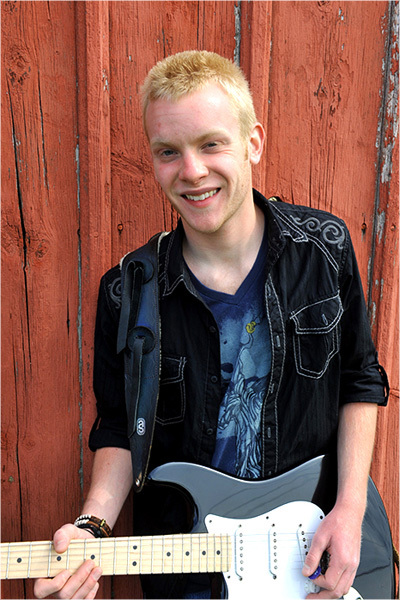 Matthew was also one of five international finalists in Ampeg’s “Straight-Up Tone” competition. Summer Festival performances included the Blues, Brews & BBQ’s (Champaign, IL) the Merchant Street Music Festival (Kankakee, IL) Mississippi Valley Blues Festival (Davenport, IA) Prairie Dog Blues Festival (Prairie du Chien, WI) the Ride Festival (Telluride, CO) and the King Biscuit Blues Festival in Helena, AR . They return to the Ride July 12 and 13. Matthew Curry has garnered considerable blog interest and received rave reviews, including those in Blues Blast Magazine, Indie Music Reviewer, and Blues Revue. Matthew was on the cover and a featured artist in the internationally-acclaimed Blues Matters. Songs from “If I Don’t Got You” received major air play around the US, Australia, Argentina, Spain, Belgium, and the UK. In 2012 “High Water Everywhere” was featured on the House of Blues Radio Hour Emerging Artists. “If I Don’t Got You” is one of NPR’s “5 Songs Public Radio Can’t Stop Playing” in their Heavy Rotation. With Matthew’s mature vocals, range of guitar sounds and solid arrangements, “Electric Religion” is sure to receive popular and critical acclaim. Matthew Curry & The Fury enjoy performing Matthew’s original songs but also covering classic blues tunes in Matthew’s unique style: hot guitar, great grooves, and backed by a pro band. 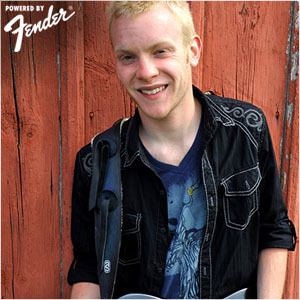 MCTF has opened for Kenny Wayne Shepard and Sonny Landreth. Larger venues see Matthew Curry & The Fury include an expanded band comprised of horns (trumpet/saxophone/trombone) and background vocals.